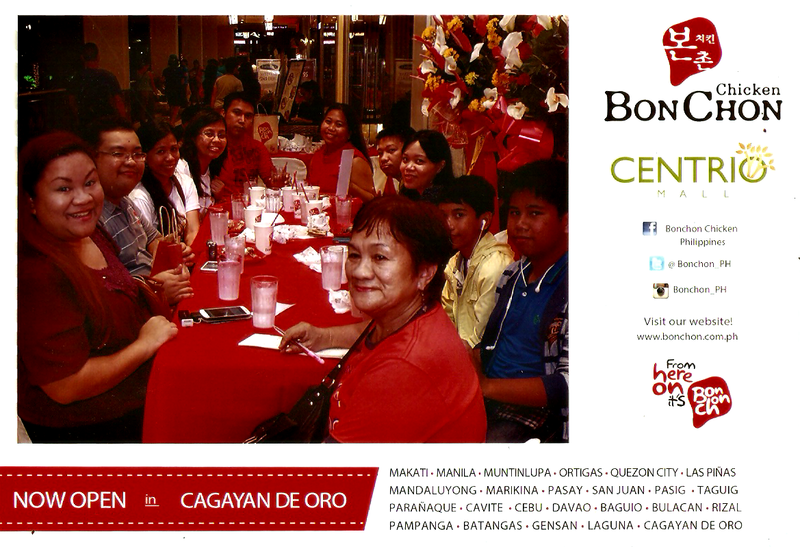 After months of waiting, finally, BonChon Chicken is now open in Cagayan de Oro City. They opened their doors to the City of Golden Friendship yesterday, November 30, 2014. I was so busy yesterday that I got to visit the place in time for dinner. I was so surprised that the place was still full packed. Foreign nationals and local residents filled the place. My friends and I weren’t able to get a table immediately but after awhile, a table was vacated outside the resto. After our orders were placed, we waited for a few minutes. Then our orders came, we immediately dug in! We were so hungry that delaying our appetite was no longer the option. I ordered Boxed Meal C (drumstick and thigh rice box) with Soy Galic flavor for my choice of chicken plus a glass of iced tea. And since I was hungry, I ordered an extra rice. The chicken was great! I notice that the chicken’s skin was crispy despite the fact that it was somehow covered with Soy Garlic sauce. I have no idea how they pulled it off but I found it awesomely delicious! Yum! Yum! The serving size was just right. I ordered an extra rice because I wanted to eat more since I missed lunch earlier. As for the price, I think it was justifiable as it served two pieces of chicken with rice. If you add a glass of iced tea, you get the entire meal for 155 pesos only.Their chicken comes with different flavors, aside from Soy Garlic, they have Spicy and Honey Citrus. 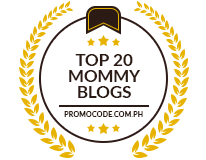 They also serve different Korean dishes, healthy salads and flavorful crepes. 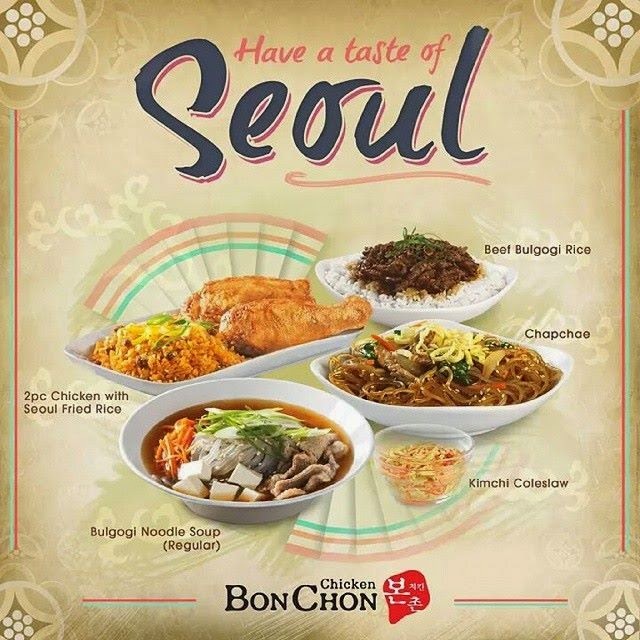 Here is a commemorative photo we got from BonChon’s Chicken yesterday. Since it was their opening day, they gave out photo souvenirs to their diners. 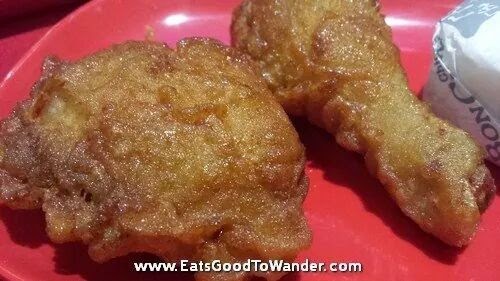 BonChon Chicken Cagayan de Oro is located at the Ground Level, Garden Area, Centrio Mall. They are open everyday from 10AM to 9PM. I'm really impressed with BonChon's food selections, quality of service and the price points. Very affordable and you know that the ingredients are top class pa. Really glad that they're finally in CDO! Same here! 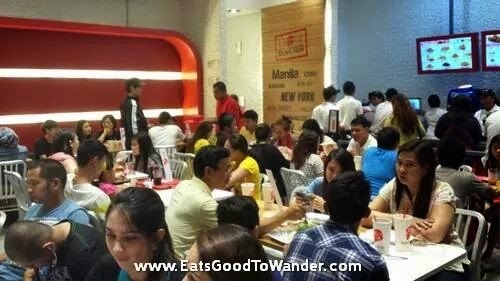 I am glad the management decided to bring them here in CDO. It was deliciously awesome! I am going to try Spicy and Honey Citrus next! The long queue is worth it!